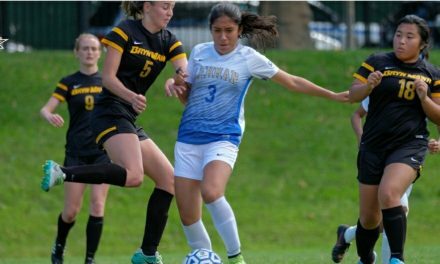 BRONX, N.Y. – The Lehman College women lost their regular-season finale, 2-1, to City University of New York Atheltic Conference rival CCNY Wednesday. The Lightning fell to 7-6-1 overall and 3-3 in conference play. The Beavers improved to 10-5 and 4-2. CCNY midfielder Amy Gomez found the back of the net in the 37th minute off an assist from Susan Aracena. Midfielder Daisy Gomez tallied the equalizer for Lehman in the 54th to knot the game at 1-1. Eight minutes later, Aracena converted a free kick for the game-winner. 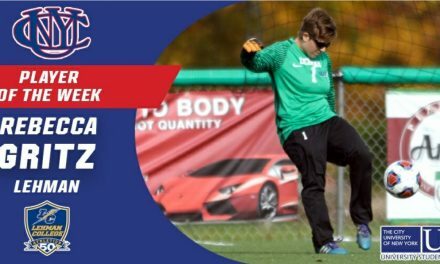 Lightning goalkeeper Rebecca Gritz was called upon to make one save. Despite outshooting the Beavers, 10-5, the loss left the Lightning as the fourth seed in the CUNYAC Tournament. 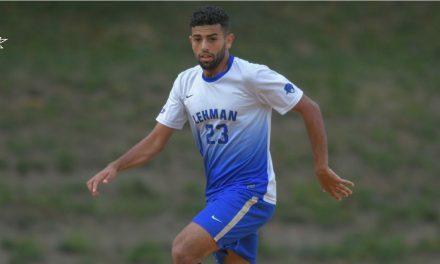 Lehman will face the College of Staten Island in a semifinal contest at Brooklyn College Wednesday. The third-seeded Beavers will face second-seeded John Jay College.